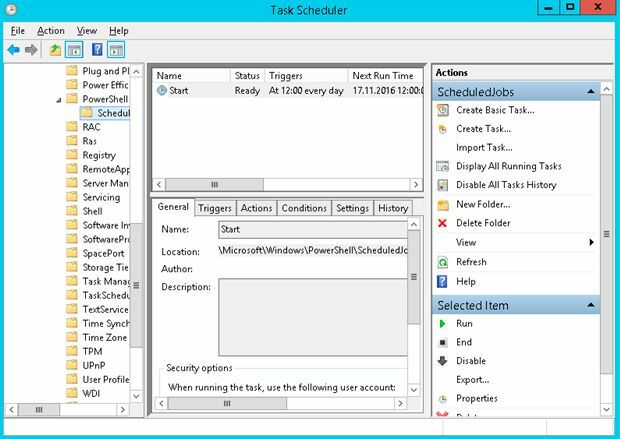 Let’s take a look at the basics of creating scheduled job in Windows Task Scheduler to run PowerShell script. For example, we have TestPSScript.ps1 script that is needed to run on a daily basis. There are two ways to solve this situation. 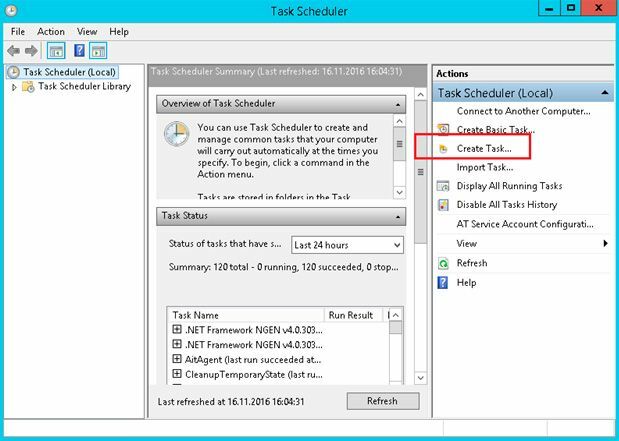 Open Task Scheduler snap-in (it can be found in the Administrative Tools, or by pressing Win + R and typing taskschd.msc) and select Create Task from right pane. Now specify the name and description of the task on the General tab. If necessary, specify the user on whose behalf the task will be run. 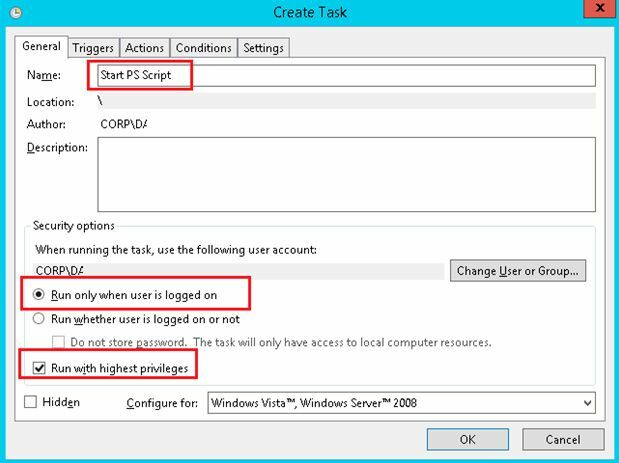 For the task to be performed regardless of whether the user is logged in the system, select the option «Run whether user is logged on or not». When a task requires elevated privileges, then mark the option «Run with highest privileges». Now go to the Triggers tab and create a new trigger (New), which runs the job in our schedule that will be stored. Specify the start date and time in the Start field and in Expire field — the date and time the job is finished. Specify to perform a task Daily and set the repeat time (Recur every) 1 Day. Fill in the necessary fields, click OK and save the task. Now, the script will start on a schedule on daily basis at the specified time. In PowerShell 3.0 on Windows 8 and Windows Server 2012 and higher, a new functional Scheduled Job appears. 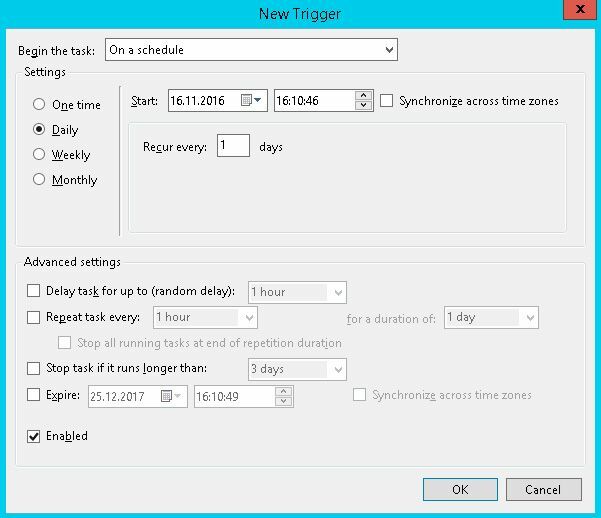 It gives the ability to create scheduled tasks from the PowerShell command console without using the Task Scheduler snap-in. 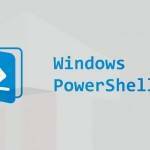 To make sure that the job is created, you need to open the Task Sheduler and find the task under Microsoft\Windows\PowerShell\SheduledJobs that was created earlier. Tip. 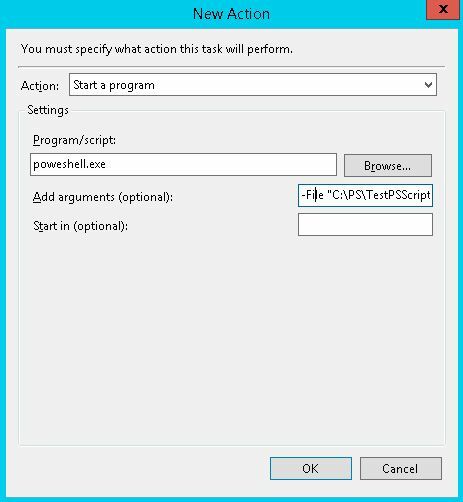 For each scheduled task, in the directory %systemdrive%\Users\%username%\AppData\Local\Microsoft\Windows\PowerShell\ScheduledJobs PowerShell creates a folder with the same name. This folder contain XML file with task settings and folder Output, that stores the job history in the files Result.xml and Status.xml. These files can be useful for debugging and diagnostics if the task that doesn’t work properly.